Federal Ministry of Health and other stakeholders in collaboration with United Nations Population Fund (UNFPA) launched a policy document on National DMPA-SC Accelerated Introduction and Scale-up Plan (2018–2022) and two applications; Global Family Planning Visibility and Analytical Network (Global FP VAN) and Nigeria Health Logistics Management Information System (Nigeria Health LMIS) to support Family Planning supply chain data visibility in Abuja at NAF Conference Centre, on the 3rd July 2018. The Reproductive Health (RH) community has long recognized that limited access to a choice of safe, affordable contraceptives severely undermines efforts to increase contraceptive prevalence, both globally and at the country level. For the Reproductive Health Supply Coalition (RHSC), a prerequisite is to increased supply access must be visibility into global supply chains. Governments and global procurers need timely visibility for effective decision-making, for estimating supply needs, for taking action as product arrives, and for advocating for any funding gaps. This means making access to planned orders, to shipment progress, to manufacturer and right back to the country, while at country-level, inventory and demand data available to a varied audience. The Reproductive Health community has asked the RHSC in collaboration with USAID, UNFPA, DFID and BMGF to host and manage implementation of a Global Family Planning Visibility and Analytics Network (Global FP VAN), which is intended to be a shared platform to capture and use supply chain data from multiple sources and organizations to provide enhanced visibility for decision making. Over the last few years, it has been cumbersome to navigate through data efficiently for effective decision making in the global health supply chain. As a result, insufficient and incorrect data has sent wrong or delayed messages through the supply chain, which has resulted in stock outs, overstocks, expiration, wastage, and ultimately, empty hands. This was the major challenge Nigeria experienced in the last few LMIS rollouts. There has clearly been a growing need to enhance data visibility in Nigeria health supply chain. To kick start the in-country pilot implementation of the Global Family Planning Visibility and Analytical Network. To create awareness on the roll out of National LMIS across the country for in country visibility of logistics data of public health programs. More timely and costeffective delivery of commodities to countries. More women reached with the right product at the right time. Better coordination on how to allocate limited health resources. Improve service delivery by eliminating stockouts and wastage. Improve process efficiency and data quality by leveraging technology over manual systems. Reduce overall fully landed cost of commodities by optimizing flow of commodities through the national system. Improve donor confidence by providing continuous insight into stock status and key performance indicators. 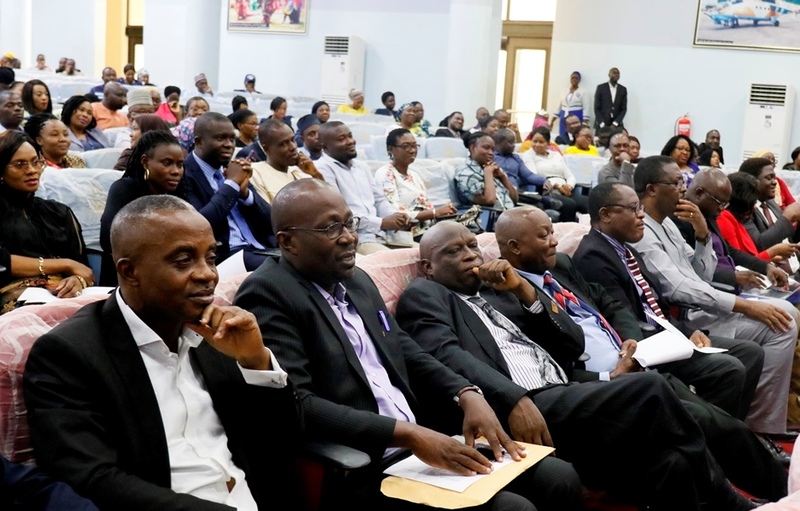 The support of UNFPA to the Government of Nigeria was acknowledged by all stakeholders, this was to ensure that In the face of all this activity, it is sometimes easy to lose sight of what really drives us forward – her. Let’s celebrate our efforts to support her right to contraception, the opportunities it provides, and the power it has to transform the world. Why be an advocate? For Her.